Dale, Ronald J. and Robert S. Allen. "Fort Niagara". The Canadian Encyclopedia, 26 January 2017, Historica Canada. https://www.thecanadianencyclopedia.ca/en/article/fort-niagara. Accessed 23 April 2019. Fort Niagara was a French fortification built in 1726-27, and is situated on the east side of the Niagara River at Lake Ontario north of Youngstown, NY. The French had earlier built 2 less substantial forts at the site: Fort Conti, built by Cavalier de la Salle in 1679 and Fort Denonville, built by Governor Denonville in 1687. Gaspard-Joseph Chaussegros de Léry designed the impressive stone-constructed "French Castle," which survives today. Fort Niagara was surrendered to the British in July 1759 following a siege and the wilderness battle of La Belle Famille. Throughout the American Revolution, Fort Niagara was the major British supply depot for the Loyalist provincial troops, Butler's Rangers, and Seneca allies who raided rebel supply lines. 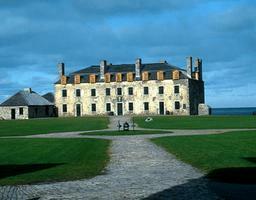 Garrisoned by American troops from 1796, Fort Niagara was an important American staging area during the War of 1812. It fought several artillery duels with Fort George across the river and was captured by British and Canadian forces on 19 December 1813 (see Capture of Fort Niagara). 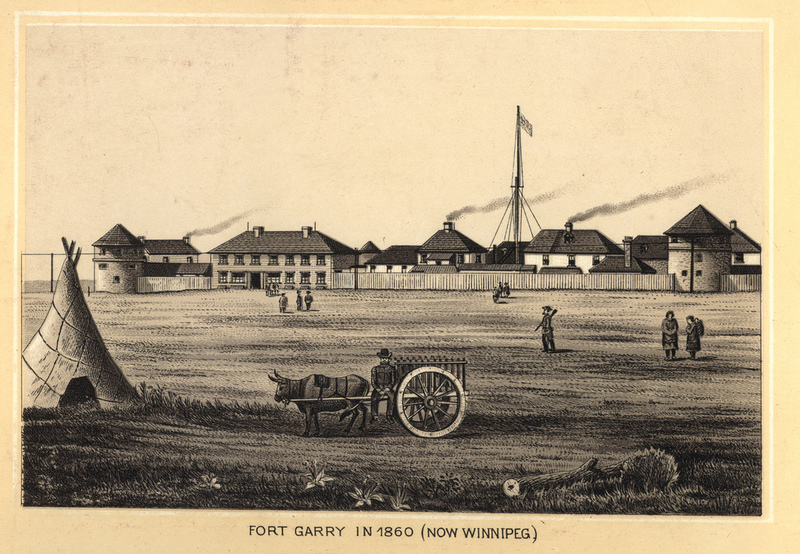 Returned to the US in 1815, the fort remained a peaceful border post. It was expanded and strengthened during the American Civil War and occupied by troops into the 20th century. During World War II, Fort Niagara became a prisoners of war camp. Today, Fort Niagara, restored between 1927 and 1934, is a New York State historic site (listed in 1980) operated by the Old Fort Niagara Association and known as Old Fort Niagara. Listed as a national historic landmark in 1960, the building is one of a number of structures making up what is also called the Colonial Niagara Historic District. Among its many features are a visitor centre, which displays, among other artifacts, the flag that was flying when the fort was captured by the British in 1813.